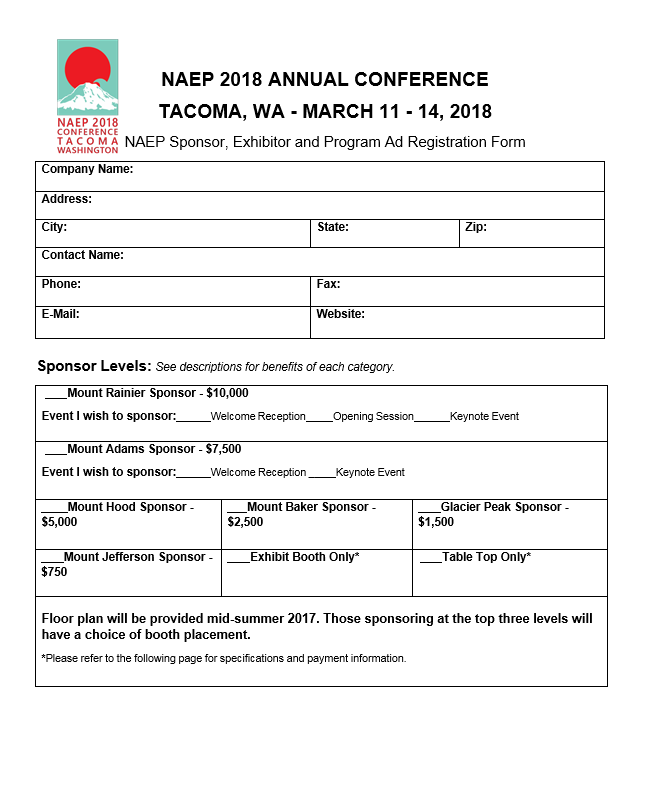 TO SPONSOR THE NAEP 2018 ANNUAL CONFERENCE - DOWNLOAD AND FILL OUT THE SPONSORSHIP FORM HERE OR SUBMIT ONLINE! The National Association of Environmental Professionals (NAEP) and its Northwest chapter (NWAEP) cordially invite you to participate and exhibit at the NAEP 43rd Annual Conference being held March 11–14, 2018, in Tacoma, Washington. The conference will take place at the Greater Tacoma Convention and Trade Center, and a block of conference-rated sleeping rooms has been reserved at Hotel Murano. Given the desirable location between Portland and Seattle and success of prior conferences, approximately 400 environmental professionals are expected to participate. Sponsors and exhibitors will enjoy excellent exposure and networking opportunities to showcase products and services. 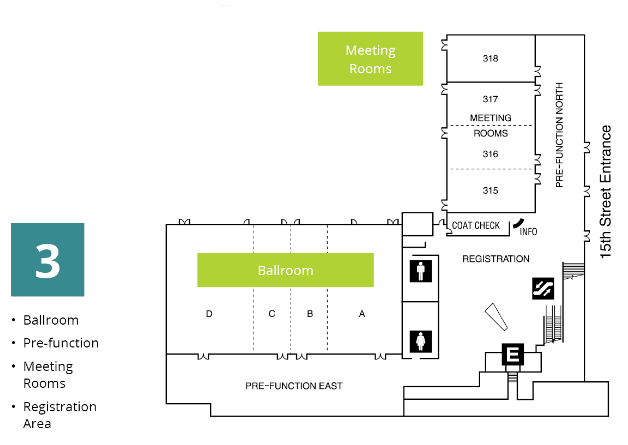 The exhibit hall will open formally on Sunday evening, March 11, with the Opening Networking Reception, to which all conference participants are invited. Exhibit booth and table-top setup is scheduled for Sunday afternoon. Exhibitors will be provided with an eight-by-ten pipe-and-draped booth, a table, two chairs, a wastebasket, and a company ID sign. A general services contractor (decorator) will be available to assist with any freight or additional furniture needs. Exhibits will close Wednesday afternoon, March 14. The top four sponsor tiers (Mount Rainier, Mount Adams, Mount Hood, and Mount Baker) will receive at least one (1) complimentary full conference registration. Please see the accompanying paperwork for the tiers of sponsorship and other benefits available to sponsors. Single table-top exhibitors will receive a one-day registration to attend the conference on one of the three days. Additional registrations, of course, can be purchased at the regular conference rates. As in past years, NAEP is offering the option of reserving a booth or table-top space only. Please see the second page of the accompanying Sponsor Levels for detailed information concerning this option. Advertising space in the final program is also available if you wish to place an ad. Pricing for advertising options in the final program is also indicated on the second page of the attachment. Please note that several of the sponsorship levels receive a complimentary advertisement as a benefit. Pages four and five of this document offer you the opportunity to reserve your space. 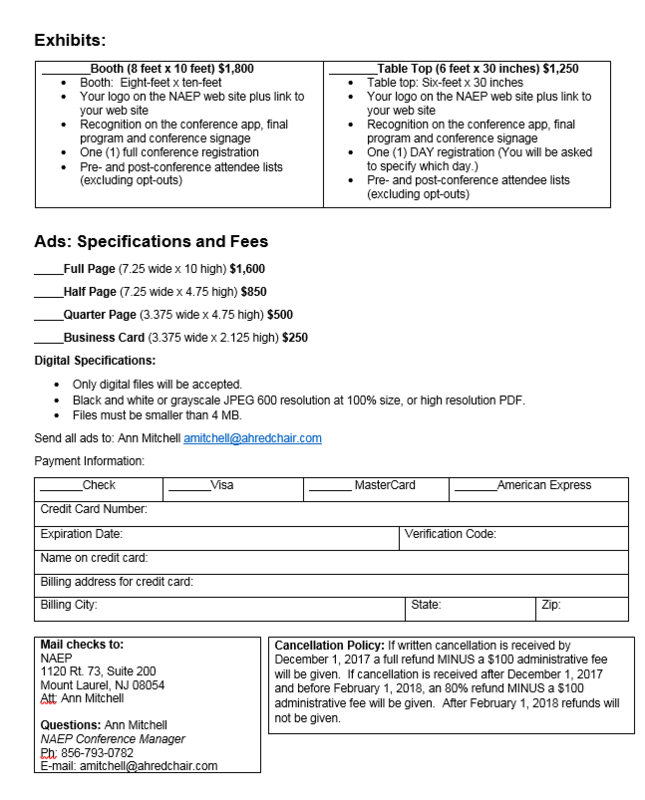 Electronic sponsorship/exhibitor registration is available on the NAEP website. We look forward to welcoming you to the NAEP 43rd Annual Conference in Tacoma. • Thank you for your support! • Only digital files will be accepted. • Files MUST be smaller than 4 MB. The NAEP 2018 Annual Conference will take place at the Greater Tacoma Convention and Trade Center. NAEP has contracted for the entire third floor of the Center, allowing all activities to be located on one floor and within an easy walking distance of one another. Attendees and exhibitors will find the location very user-friendly with floor-to-ceiling windows on both the meeting room side and the ballroom side of the floor. 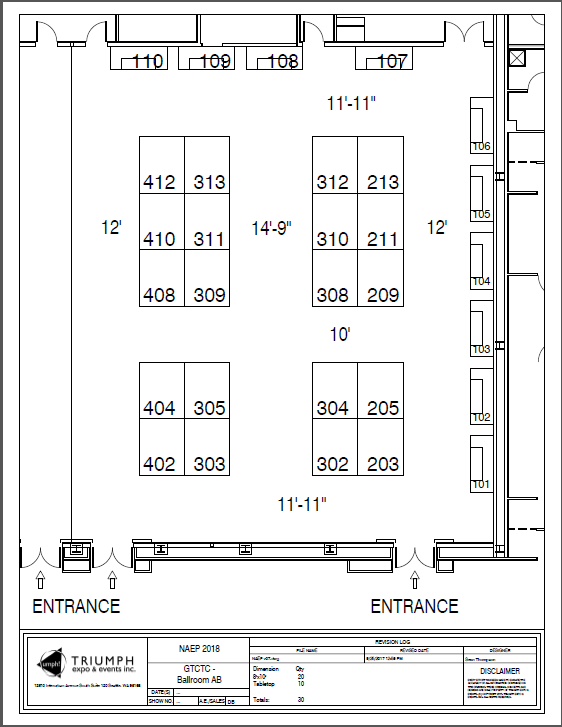 Once a floor plan of the exhibit space has been drawn by the general services contractor and approved by the Tacoma fire marshal, a subsequent mailing will be sent to you for your review. We look forward to welcoming you to Tacoma.